Raymarine’s Quantum Q24C Radar is an 18” Dome Radar with Range Scales from 1/16th to 24 Nautical Miles. Connecting via WiFi to any of Raymarines MFD’s with Lighthouse II software the Q24 weighs in at 50% less than traditional Magnetron Radars and offers a low power consumption, the Q24C is a desired radar for boats like center consoles and sailboats with limited battery capacity, as well as larger vessels. The ATX (Advanced Target Separation) identifies small, weak targets even when close to strong returns like jetties and seawalls. 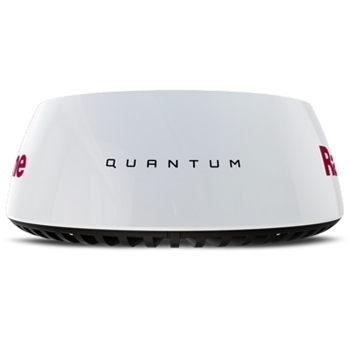 Such technology is unsurpassed and sets the Quantum Q24W aside from all other traditional radar modules. Minimum target range is 18 feet, while the maximum range is 24 nautical miles allowing you to maximize or minimize target location based on what suites your needs. 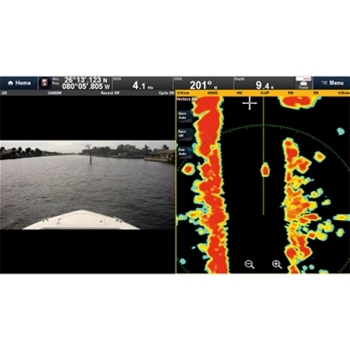 Superior radar imaging from FLIR’s exclusive ATX, advanced target separation technology displays targets like boats, landmarks, rocks, buoys, and weather cells with unsurpassed resolution and separation quality is also an integral part of the performance of the Quantum Q24C radar dome. 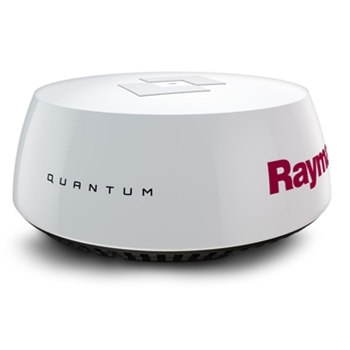 The first radar to be connected completely wirelessly, the Raymarine Quantum Q24W radome is upgraded technology that’s a must have for an addition to your current Raymarine system, to provide you with a system that’s unlike any other.